One of the nice things about having tons of travel videos available on online streaming platforms is the fact that regardless of the destination – odds are there are at least going to be several travel videos that cover it. If you, like many others, enjoy watching travel videos that relate to places you intend to visit in the not-so-distant future then it is definitely worth checking out the selection of travel videos that are available online. The only drawback with streaming travel videos is the fact that there is no way to save or download these videos for offline viewing. In other words you have no choice but to watch it while you’re connected to the internet. Fortunately there is one way around the issue: Just record the travel video with the help of screen capture software such as the Movavi Screen Capture. 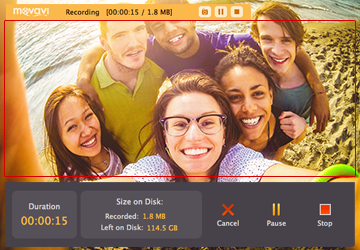 When you use the Movavi Screen Capture, you’ll be able to set it to record a specific area of your screen. As such, all you need to do is set it to record screen where the travel video is going to be playing and start the recording. If you want you can stop it manually when it is done or you can use the timer that is available to do so. Whatever the case, you should then be able to save the video and watch it offline as and when you please. If you explore some of the other features of the Movavi Screen Capture you’ll find that it also presents several other interesting opportunities. For example, you could trim unnecessary footage from the recording or extract the highlights from your favorite travel shows. Afterwards you could even combine highlights from various travel shows into a single video, and you could optimize that video for mobile devices so that you can take it along with you on your tablet when you travel and refer to it whenever you require. Apart from that the Movavi Screen Capture boasts a host of other features that will allow you to enhance the quality of your videos, apply special effects or filters, add audio tracks, insert customizable text, and much more. Essentially you should have everything you need to capture video directly from your screen and edit it to suit your needs and purposes – whether it is to save travel videos, or something else entirely.